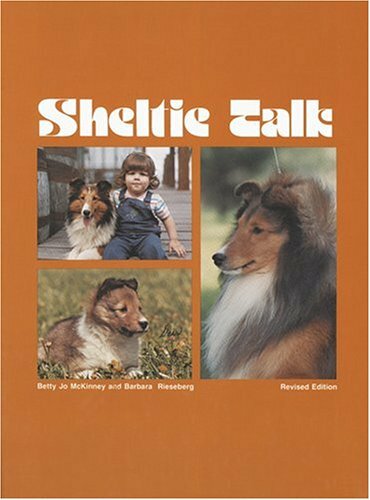 Concise book of the Shetland Sheepdog. History, early clubs, temperament, personality, standards, size, major bloodlines, tattooing, traevling, general care, health, medicines, breeding, birthing, puppies, selling puppies, showing, and much more. B/W photos. 212 pgs. 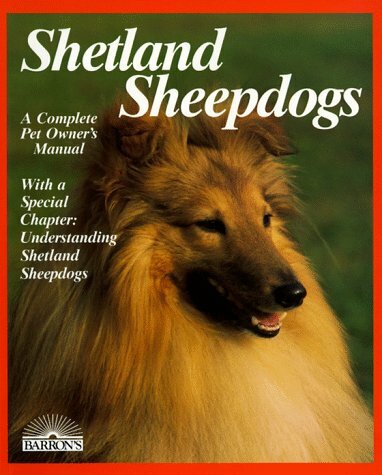 Concise book of the Shetland Sheepdog. History, early clubs, temperament, personality, standards, size, major bloodlines, tattooing, traevling, general care, health, medicines, breeding, birthing, puppies, selling puppies, showing, and much more. B/W photos. 307 pgs. 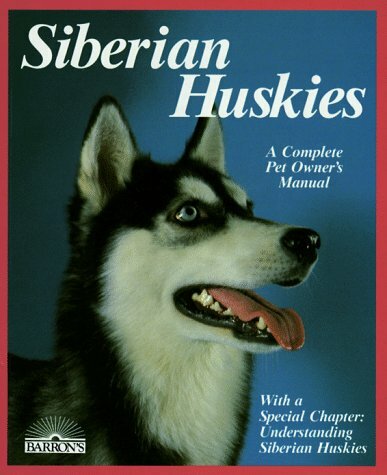 Covers: history of the breed, description, grooming, selection, breeding, housing, housebreaking, behavior modification, health care, training, feeding, preventive dental care, & dogs & the law. Color photos. 192 pgs. Should you buy? Housing, care, nutrition, health, breeding, training, behavior. Color photos. 79 pgs. The Shiba Inu, one of the oldest native dogs of Japan, has grown in status as a popular show and companion dog. This top-quality book details the temperament of the Shiba and gives invaluable advice on training and socialization. 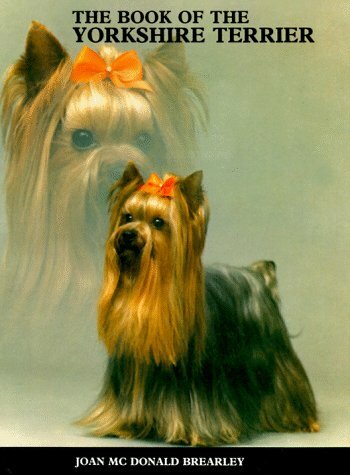 The Breed Standard is discussed and there is a special section on showing and judging the breed. 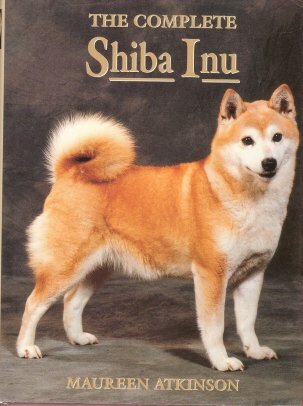 Contents: Origins, choosing, caring for, breed standards, the show ring, training show judges, the versatile Shiba Inu, principles of breeding, whelping, caring for the litter, health care & inherited conditions, the Shiba Inu in Britain, the Shiba Inu in North America, the International Shiba Inu. Color photos. 175 pgs. History, characteristics, selection, accommodations, housing, obedience, dog sport, dental care, traveling, grooming, feeding, diseases, housebreaking, training. Color photos. 160 pgs. History, care, feeding, grooming, health, training, breeding. Happy, Healthy Pet guides focus on different kinds of pets, the emphasis remains on making the pet a companion. In addition, owners of more unusual pets will particularly appreciate the expert advice in these books because professional care for their animals may be difficult to come by. As always, the instruction is from experts. 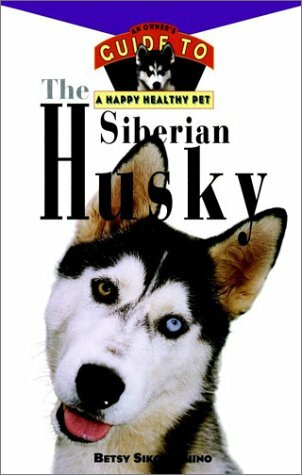 Chapters: Ancestry, bringing home a new dog, feeding, grooming, health, basic training, getting active with your dog. Color photos. 160 pgs. 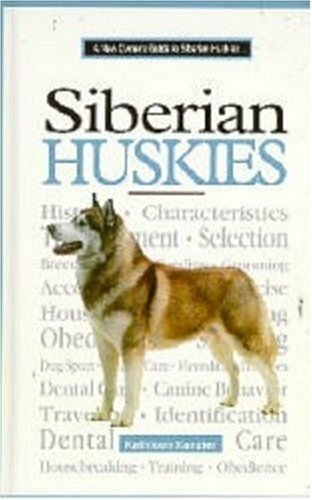 History of the breed, the siberian husky in the twentieth century, important kennels of the 1970's, the breed in other parts of the world, pinnacles of the breed, in the show ring, as a racing dog, as a pack dog, clubs, standards, temperment & characteristics, buying a puppy, breeding, genetics, pedigrees, training, showing, feeding & nutrition, general care & managment, your vet and you, parasites & diseases, pursuing a career in dogs, and siberian short stories. B/W photos. 543 pgs. Chapters on: History, grooming, new puppy, training, breeding, health, showing, and more. 64 pgs. Choosing a terrier, care, feeding, health, breeding, showing, behavior. Gives you all the info you need about looking after your Westie. 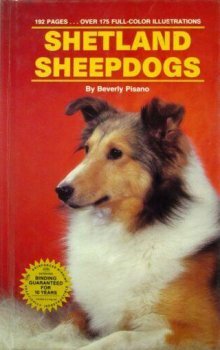 Chapters by experts give knowledge on their history & origins, training, showing, feeding, grooming, breeding, common illnesses, & the Kennel Club Breed standard. Over 50 photos, including 16 in full color. 136 pgs. 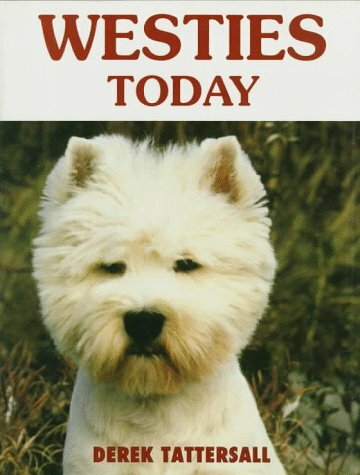 Origins of the breed, personality, standards, evaluating puppies, buying a puppy, grooming, health, feeding, dry cleaning, training for showing, professional handler, joys & problems of breeding, waiting for the litter, whelping, care of neonatal puppies, selling a litter, congenital defects in Westies. B/W photos. 219 pgs. 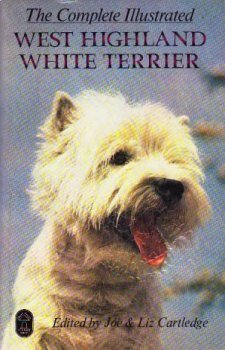 A highly informative look at how to pick the right puppy and the intricacies of trimming a West Highland White Terrier for the show ring. 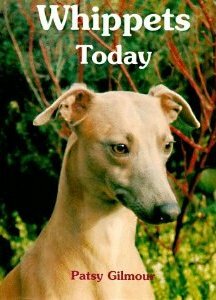 Useful advice on caring for this delightful, fun-loving dog as a pet is also provided. 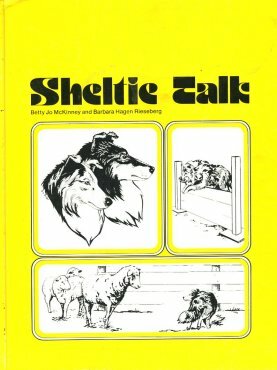 Chapters: as a pet, origins & history, breed standard, selecting a puppy, breeding, puppy rearing, feeding, trimming, the show ring, judging the breed, personal experiences, Westies in America, Westies in Scandinavia, & hereditary faults & ailments. B/W photos & illustrations. 160 pgs. Caroll Knipe has captured the essence of the Welsh Pembroke Corgi in her delightful new book, CORGI CONFESSIONS. The photography by Fritz Knipe gives us a glimpse into the world of Corgis living in the Santa Cruz mountains of California. Dutch and Duchess have a lighthearted "confession" about everything from their lack of tails, to their love of food. 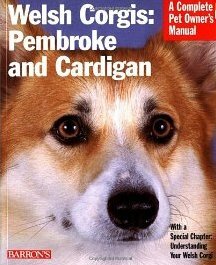 Corgi owners will love this book. 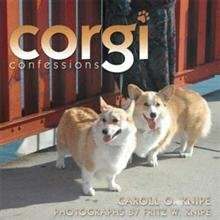 Written in rhyme, CORGI CONFESSIONS is also a perfect gift for the elementary school reader who will soon want to write a personal book about a favorite pet. 22 pgs. Info on their life cycle, temperament, origins, feeding, health care, breeding, exercise & play activities, and understanding their voice & body language. Color photos. 127 pgs. 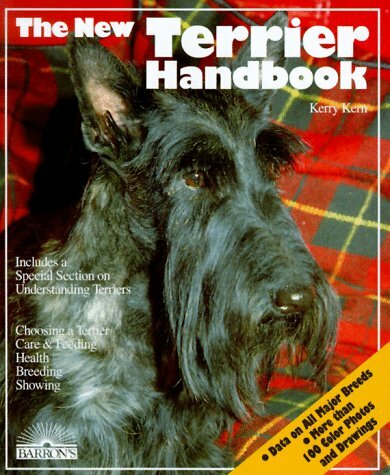 Easy to read information on the history of the breed, grooming, breeding, standards, characteristics, selection, health, dental care, traveling with your dog, behavior, canine communication, along with a section on resources. Color photos. 160 pgs. 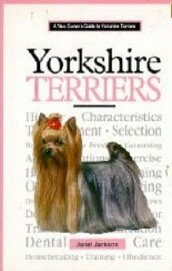 Detailed chapters on: Early history, the breed in England, in America, around the world, Yorkshires in the limelight, the dog show world, showing & judging, grooming, obedience, breeding, buying a puppy, feeding & nutrition, your vet and you, pursuing a career in dogs, and the statistics and the Phillips System. B/W & Color photos. 352 pgs. Easy-to-read text provides practical advice for beginners. Chapters on: history, origins, looks & personality, grooing, breed standards, your new puppy, feeding, training, showing, breeding, care of mother & family, health & disease, care of the older dog. Color photos. 80 pgs.